Whether it’s late at night and you’re pumping gas or you want to be prepared in the event of a car jacking. This combo will be a 1 – 2 punch for anyone looking for trouble. 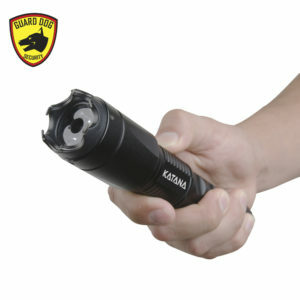 The Katana tactical stun gun flashlight is not only powerful, it’s a great flashlight to keep in your glove box. 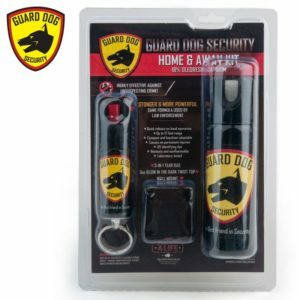 The easy to conceal pepper spray works as an excellent car jacking defense.